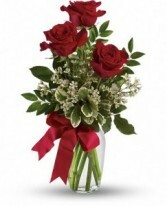 Never Let Go Cube Arrangement in Warrington, PA - ANGEL ROSE FLORIST INC. 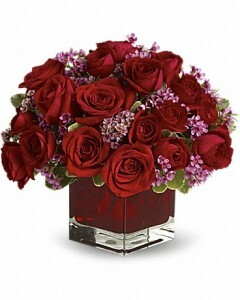 Romantic Flowers Red Roses And Sweet Lavender Waxflower Are Gathered Into A Modern Cube Vase. 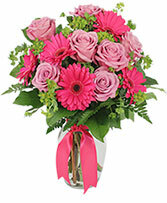 Classic Urn Vase, Foliage: Leather Leaf, Salal, Lavender Roses, Hot Pink Gerberas, Bupleurum. 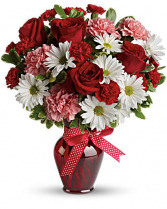 Fresh, Beautiful Flowers Selected By Our Expert Designers At Angel Rose Florist.